One of the most influential documentary photographers of his generation, Danny Lyon photographed the Civil Rights Movement, the Chicago Outlaws motorcycle club (preceding the film Easy Rider); examined the Texas prison system, visiting and photographing five maximum-security facilities, and experimented with film-making all before he turned 30. 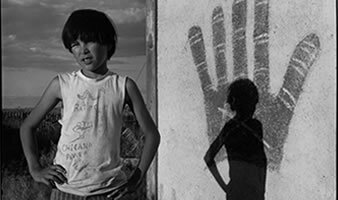 The gallery will exhibit vintage and modern photographs of New Mexico, Arizona and Mexico, including many that have never been shown, and work that was featured in his international traveling retrospective exhibition Message to the Future, which opened at the Whitney Museum, New York in 2016. Lyon’s new documentary film, Wanderer, will make its West Coast debut in Tucson at the Center for Creative Photography, at 6pm Friday, November 16, 2018. The screening will be followed by an artist talk. Arrive at least 30 minutes before the 6pm screening to get a seat.